From a special musical procession in honor of Brazilian Carnival to a 10-hour marathon concert celebrating the works of Bach; here’s your guide to all the Metro Art events happening in March. 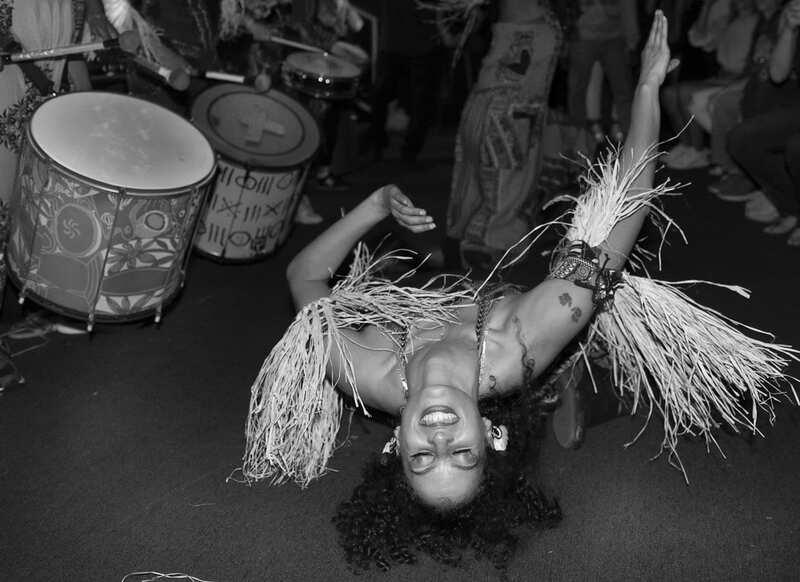 Friday, March 1: Join us as we welcome Bloco Obini for a special “all queens” musical procession beginning in Union Station’s East Portal in honor of Brazilian Carnaval from 4 p.m. to 6 p.m.
Saturday, March 2: Art tour of Hollywood rail stations from 10 a.m. to noon. Meet at the street level entrance to North Hollywood Station (Red Line). Sunday, March 3: Art tour of downtown rail stations from 10 a.m. to noon. Meet at the Union Station information kiosk near the Alameda Street entrance. Sunday, March 3: Join us for an interactive workshop during this year’s first CicLAvia from 10 a.m. to 2 p.m. on Washington Blvd. in front of Culver City Station. More information. Saturday, March 9: Art tour of Downtown rail stations (en Español) from 10:30 a.m. to 12:30 p.m. Meet at the Union Station information kiosk near the Alameda Street entrance. Saturday, March 9: Meet Metro artist Ja’Rie Gray and receive a free, signed copy of her “Through the Eyes of Artists” poster featuring South Gate from 2:30 to 4:30 pm during the 2019 City of South Gate Azalea Festival. Sunday, March 10: Art & Architecture Tour of Union Station from 10:30 a.m. to 12:30 p.m. Meet at the Union Station information kiosk near the Alameda Street entrance. Saturday, March 16: Join us in celebrating Bach’s birthday during the annual 10-Hour Bach Marathon throughout Union Station from 9 a.m. to 7 p.m.
There’s a typo in the last event – the Bach Marathon should be Saturday the 16th, not Sunday. Thanks for heads up! Fixed.